Ukrainian fried potatoes with sauté sweet red peppers, this is a great dinner recipe that will get anyone to eat even your kids. It has a long heritage from Ukraine but then went around the world. Ingredients: 1.) Wash and dry potatoes and peppers. 2.) Peel the outsides of the potatoes and wash again. 3.) Cut length wise into strips 1/4 of an inch wide. (Us a fancy cutting knife if you would like) Sprinkle garlic salt and lemon pepper onto the potatoes. 4.) Drop potatoes into a skillet that has hot oil on a moderate temperature, fry until lightly browned. Stir occasionally. 5.) Place them on a paper towel, let grease comes out. 6.) 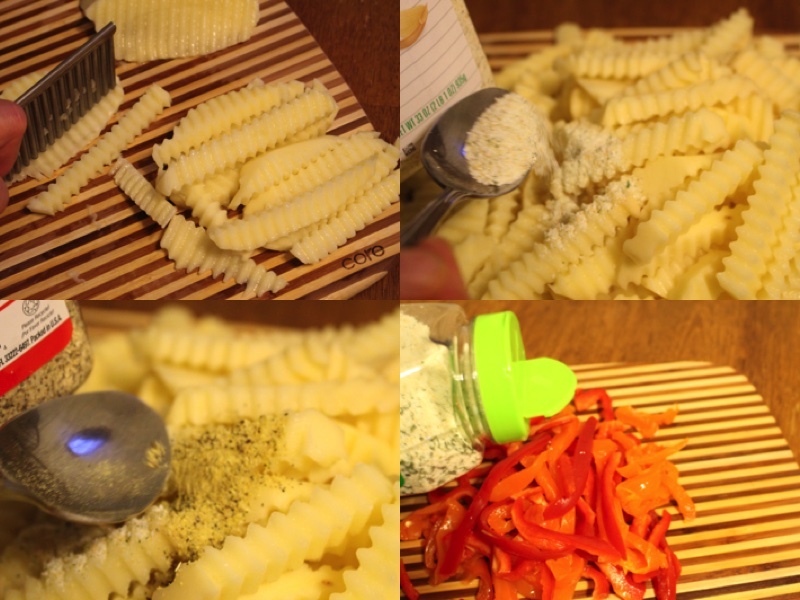 Cut pepper into length wise strips, fry for 4 minutes in hot oil. 7.) Sprinkle it with garlic salt and lemon pepper, Drain again. 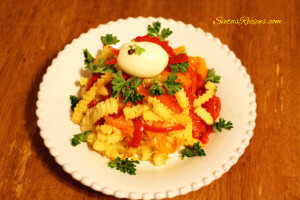 Wash and dry potatoes and peppers. Peel the outsides of the potatoes and wash again. Cut length wise into strips ¼ of an inch wide. (Us a fancy cutting knife if you would like) Sprinkle garlic salt and lemon pepper onto the potatoes. 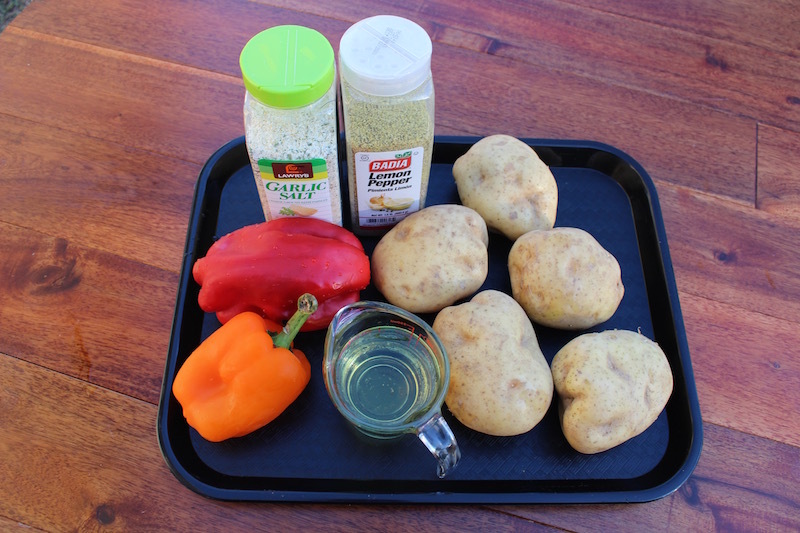 Drop potatoes into a skillet that has hot oil on a moderate temperature, fry until lightly browned. Stir occasionally. Place them on a paper towel, let grease comes out. 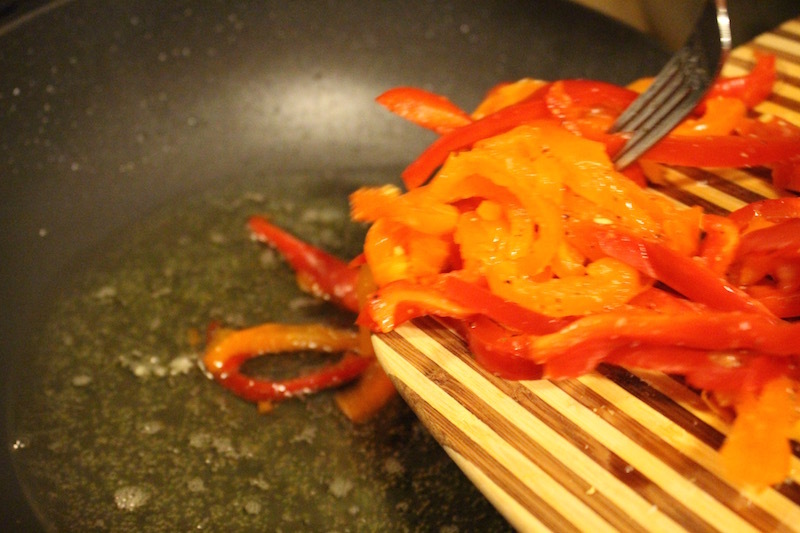 Cut pepper into length wise strips, fry for 4 minutes in hot oil. Sprinkle it with garlic salt and lemon pepper, Drain again.